Published: July 28, 2014 at 09:15 p.m. Updated: July 29, 2014 at 01:30 p.m.
For the second time since offseason practices began, the Arizona Cardinals have received unwelcome news regarding a star defensive player. As John Abraham missed a third consecutive day of training camp, news has emerged that he ran into legal trouble in Georgia late last month. 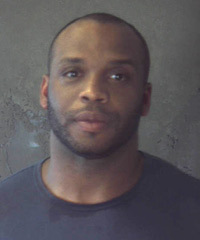 The veteran pass rusher was arrested and charged June 29 with driving under the influence, according to the DeKalb County, Georgia, online judicial system. Coach Bruce Arians has explained only that Abraham has been absent for "personal reasons." It's not known if the DUI arrest is related. "I'm not concerned at all," general manager Steve Keim recently said, per the Arizona Republic. "He'll be back at some point here." This is Abraham's third arrest since joining the NFL. He was charged with DUI back in 2003 after crashing his vehicle in Long Island. He pleaded guilty to the charge and avoided jail time. He was also arrested two years ago in Atlanta on two counts of misdemeanor obstruction. If Abraham is forced to serve an NFL suspension, it's yet another blow to a talented defense that has lost Karlos Dansby to free agency and Daryl Washington to a season-long ban. The NFL's active sacks leader (133.5), Abraham led the Cardinals with 11.5 quarterback takedowns in 2013. Absent his presence in the lineup, Todd Bowles' defense would lack a pass-rushing presence off the edge.